DATES: April 8, 15, 22, 29, May 6, 13, June 3 & 10. An 8-week workshop that focuses on the connection of the body, mind and heart to the creative process. Students will learn the 1st chapter of the taiji form as well as other fundamental exercises from the legacy given to us by Master Koo. Meditation (sitting, standing and moving) will also be key to opening the flow of ideas and inspiration. Additional exercises that focus on the bridge from stillness/silence or movement/sound to the practical creation of art will be studied. Particular emphasis will be given on the areas of interest of each student. 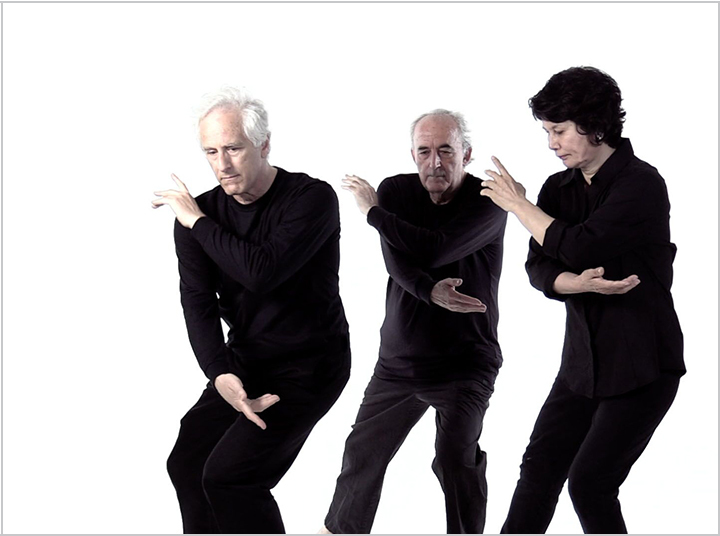 These exercises are drawn from Freddie Bryant's work with jazz musicians in movement, meditation and music and his personal journey of discovery since he began the study of taijiquan in 1986. This class is open to ALL artists, professional or amateur, as well as anyone who is interested in exploring their own path to creativity: musicians, dancers, actors, writers, visual artists, improvisers, i.e. anyone! No previous experience with taiji is required. This class is also open to current Nanlaoshu current students at no additional charge. Class will be 90 minutes with an optional 45 minutes of practice working on your art-form, individually or collectively at the Center. Students are encouraged to bring their work with them for this extra 45 minutes. Freddie will be playing his guitar and working on musical studies and songs. Feel free to bring your instrument/voice or pencils/charcoal/paper or dance shoes or typewriters/computers! Due to the personal nature of this endeavor much of this extra time (space permitting) will be individual work where students can take advantage of the qi/energy, focus and openness fostered by the preceding class and apply them to their own creative pursuits. However, artistic collaborations may occur if opportunity allows. CAROL, a senior student of Master Koo, is also a founding member of the Society. She enjoys investigating and learning how to apply peacefulness and wellness to the ancient art of neigong taijiquan. Carol studies Chen style, Wu and Sun family forms and teaches the 81 move long form at the Center. NEIL studied with Master Koo from 1977 until 1999. He is a founding member of the Society for Nanlaoshu, and served as its president for 17 years. He has been involved with the practice, application and development of Nanlaoshu for more than 40 years. He is a guild-certified Feldenkrais practitioner. YIEN-KOO (YK) is a founding member and vice president of the Society. A Taoist by nature. She studied with Master Koo from 1983 until his death in 1999. He encouraged her to teach from early on. She has taught taijiquan, qigong and yi jin jing for more than 30 years. 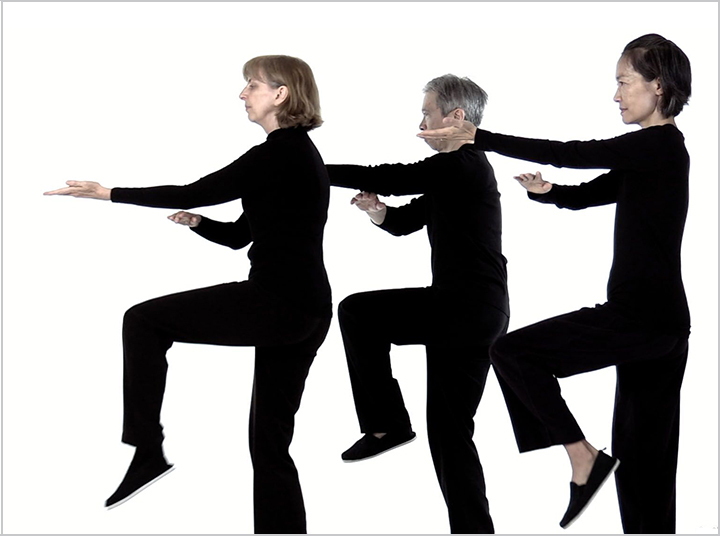 RUBY, a founding member of the Society for Nanlaoshu, has been practicing taiijiquan and qigong since 1979. A senior student of Master Koo, she is actively involved in teaching taijiquan and deepening her knowledge of martial arts and the healing modalities of Chinese Medicine. As a practicing acupuncturist, Ruby has been training with Master Jeffrey Yuen in Chinese Medicine and the martial arts: Chen, Wu, Sung & Yang styles of taijiquan as well as taiji swords and saber. REGINA & MARIO started their practice in 1999 and for the past twelve years have been teaching beginners classes. They believe that sharing their understanding of the practice has deepened their own practices. They have served on the Board of Directors since 2006. They edited and produced the 25th anniversary publication of Master Koo's lectures. Mario was elected president by the Board of Directors in May 2016.